Do you need to get yourself looking like a big deal bounty hunter in quite a hurry? Sure...who doesn’t? We have conducted extensive research, and there is simply no better way to transform yourself into Boba Fett--STAT!--than to don this Star Wars Boba Attire Sublimated Costume T-Shirt. It has a look inspired by the original movies, but it is a simple, lightweight tee. You know what that means? No more lugging around that heavy Mandalorian armor for every single mission (or Halloween party). This new look will allow you to be lighter on your feet, which could make dodging Han Solo's clumsy attacks that much easier. Basically, this tee is going to transform you into a top notch bounty hunter simply by your putting it on! Even the advanced life forms in Star Wars don’t have access to this kind of powerful technology. 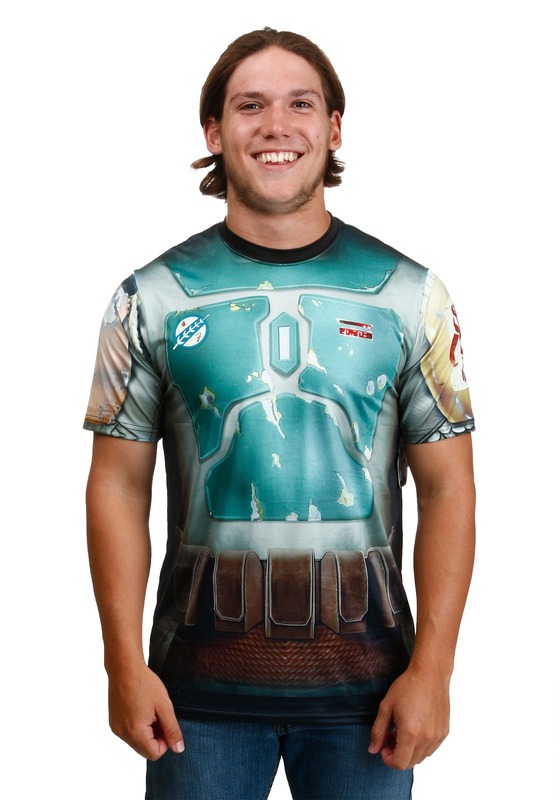 With a slick sublimated print of Boba Fett's iconic armor, this shirt is the perfect solution for an easy to wear costume that packs a big punch, or even as a way to rock as some everyday geek-chic apparel. 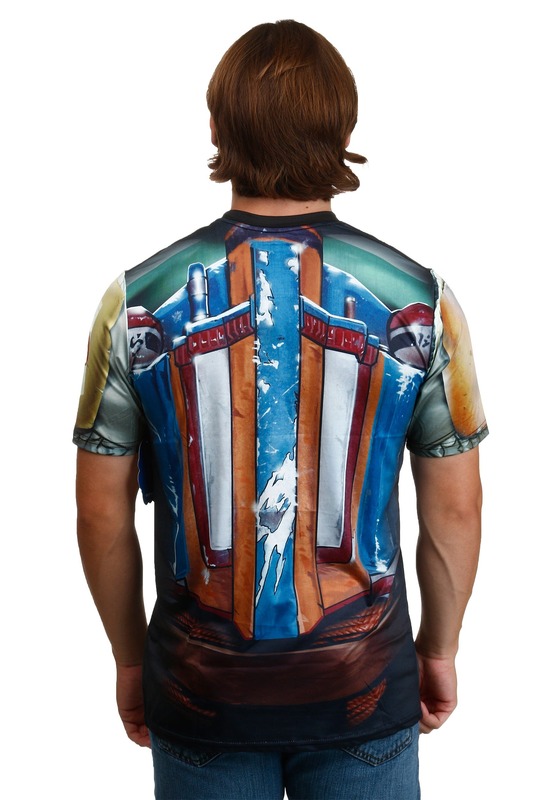 And since it’s officially licensed, this costume t-shirt is the realest deal there is; it will have you ready to board the Slave I and start hunting for bounties. Or at the very least, this T-shirt can have you ready to go to the Star Wars con in no time!